Leonard Wilson Keenan are delighted to present to the market No. 118 Griffith Hall, Glandore Road, Dublin 9. Located on the ground floor of this outstanding development in the heart of Drumcondra this chic and stylish, south facing one bedroom apartment comes to the market in excellent condition throughout. Griffith Hall is a superb gated development surrounded by beautifully maintained communal gardens and grounds. The accommodation comprises a welcoming entrance hall, one large double bedroom with build in wardrobe, fully tiled bathroom, fitted kitchen and living/ dining room with access to the south facing balcony. This apartment has been newly refurbished to a very high standard throughout and is also boasts with a designated secure parking space along with ample visitor parking. Rarely does an opportunity come up to purchase an apartment in this highly sought after area. 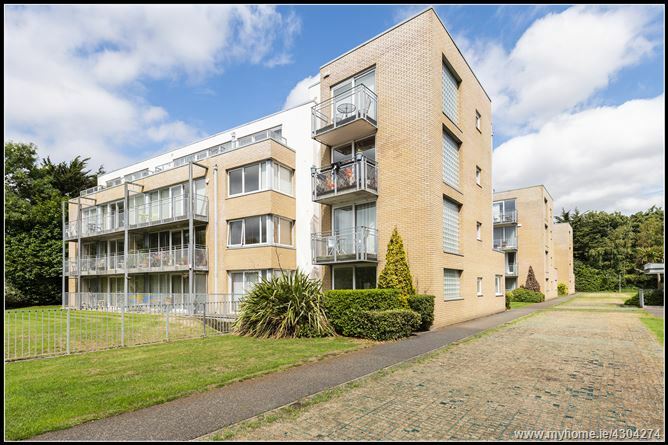 This apartment is close to Drumcondra Village and all the convenience stores on Philipsburgh Avenue. The City Centre and Clontarf promenade are also within walking distance. For the sports enthusiast, Croke Park, Sportslink, Westwood and The Regency are all within striking distance. The area is well served by both primary and secondary schools. Primary schools include St Patrick's N.S. (for boys), Corpus Christi N.S. (for girls), Saint Vincent De Paul, Scoil Mhuire. Secondary schools include Domincian College Griffith Avenue (Girls), Rosmini (mixed), Maryfield College (Girls), Ard Scoil Ris (boys). The area is also well served by Third level college such as DCU, All Hallows College, Mater Dei Institute of Education and St Patricks College of Education. The area has two magnificent churches such as Saint Vincent De Paul Church and Corpus Christi. The area is very well served by transport links and the M1 and M50 are close by.